Easy on, easy off! 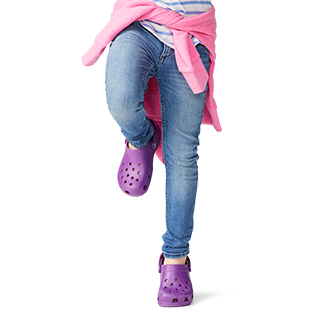 Just like the adult Classic, the kids' version offers amazing comfort and support, thanks to the light, durable Croslite™ material and molded design. 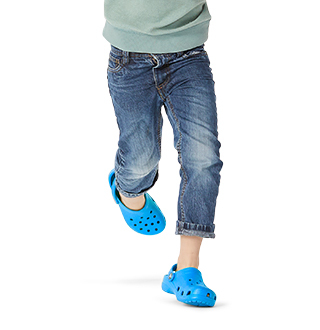 Kids can customize their Crocs clog however they like; ventilation holes accommodate Jibbitz™ brand charms. "My 2-year old needed an alternative to his everyday footwear which causes his feet to sweat, blister and smell. Living in South Florida we fight with the blistering sun, torrential rains or sticky beach sand. 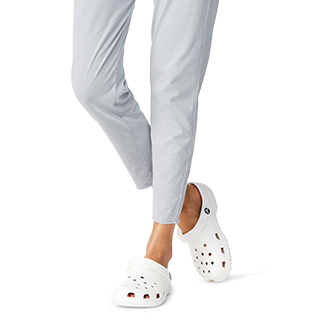 These Crocs are so easy to maintain and keeps his feet cool and dry (wearing them on non rainy days) with or without socks. I see the relief on his face and feet and he bops around in them. 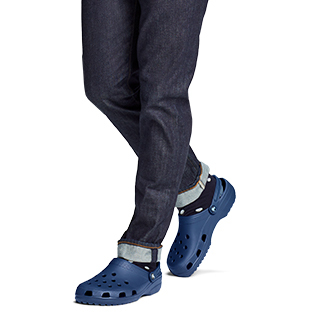 I don't hear him complaining about his feet hurting from blistered skin, plus, I don't have to contend with tearing up his clothe shoes by washing them to keep the smell down. We bought Jibbitz to customize!"